Make sure your Bay Area seafood market customers know that while these fish are huge, they are also low in mercury! And that’s just the beginning of their superpowers. Fresh Mahi Mahi from Pucci Foods is also an excellent source of several vitamins, amino acids, and fish oil. Combined, Mahi Mahi is a delicious serving of succulent protein that helps the body reduce the risk of heart disease and cancer, fight inflammation, and maintain healthy functions. It can even delay symptoms of aging. Here’s a breakdown of all the wonderful qualities of this fish. It’s no wonder the meaning behind the Polynesian name “Mahi Mahi” is literally “strong strong.” Consider posting these benefits at your fish counter to highlight a special you are running, or to simply inform customers who aren’t familiar with this particular variety of fish. Lean Protein: A mere six ounces of Mahi Mahi provides 31.5 grams of protein and just 1.2 grams of fat. That makes it very lean, but still chock full of essential amino acids and enzymes. Vitamin B: Mahi Mahi is an excellent source of vitamins B-3, B-5, B-6 and B-12. B-3 helps in heart health by controlling cholesterol levels. It also maintains healthy skin, supports brain function and can prevent join problems like arthritis. B-5 helps make blood cells and converts food into energy. B-6 helps your brain and nerves in operations like mood control and hormone regulation. It’s also been proven to aid in liver function. B-12 helps keep nerve and blood cells healthy, and even assists in making DNA. Potassium: This special mineral lowers blood pressure, which combats heart disease. It also supports heart and muscle function. Selenium: This nutrient is a powerful antioxidant. Selenium not only supports healthy heart function, but it helps fight inflammation and boosts immune function. 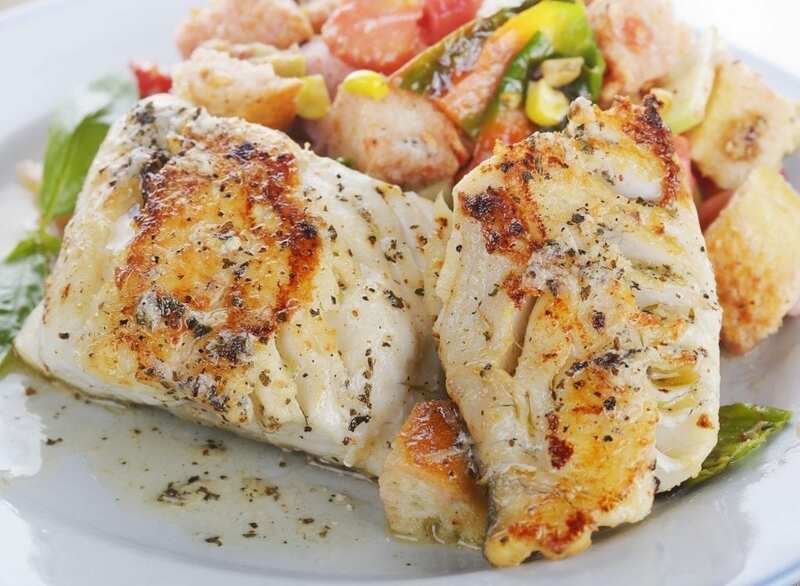 A serving of Mahi Mahi boasts 62 micrograms, more than 100% of your recommended daily amount. Omega-3 fatty acids: This lipid is something we could all use more of. It’s a healthy fat that benefits the heart instead of harming it, and also cuts down on inflammation. There aren’t a whole lot of sources of omega-3 fatty acids, but fish, including Mahi Mahi, offer a prime supply.